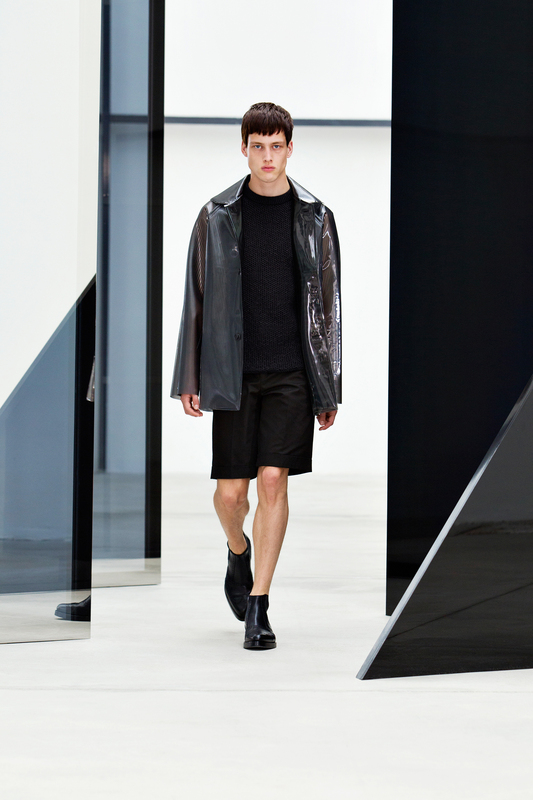 Alexander Wang’s menswear debut for Balenciaga was purposefully relative to his first womenswear collection for the maison – and there seemed to be a similar instantaneous appreciation for both his efforts. The collections shared many details like the metal ‘safety pin’ closures: a nod to artist David Jablowsk’s Common Object, as well as references to the label’s couture heritage. Wang’s signature style came via the darkly streamlined tailoring, contrasted with his affinity to combine new materials and proportions with the traditional. Glossy fabrics juxtaposed with matte. Wool, silk, mohair and cotton were integrated with nylon and PVC. A quest for both rigidity and movement was played out, especially regarding the fluidly fitted pants offset against structured leather outerwear. There were few prints; instead we see optical play, in a tribute to California artists James Turrel, Larry Bell and Robert Irwin’s work with light. Razor sharp jackets and killer footwear have been revered Balenciaga pieces season after season for both men and women – which Wang didn’t fail to incorporate for SS14. 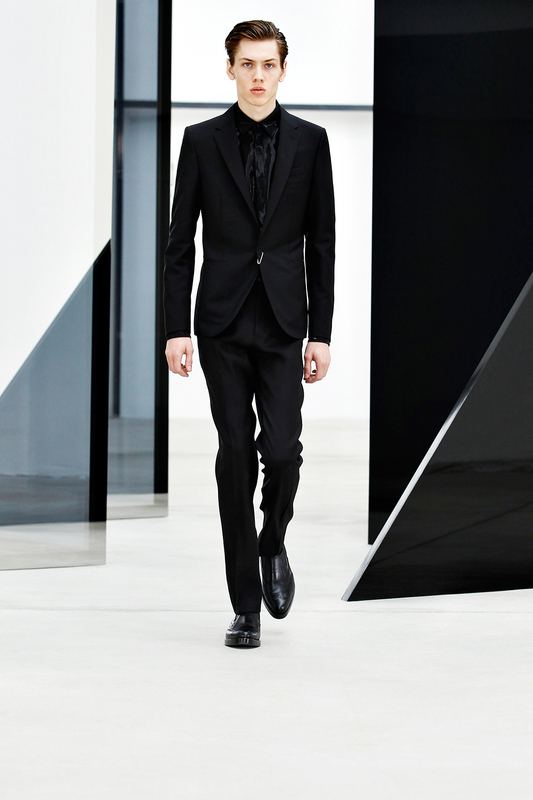 He used the tried and tested recipe for covetable everyday pieces, cleverly pairing classicism with nonchalance.